Courses are also available for onsite delivery at your business or workplace. We can tailor a course to suit your business needs. Contact us for more information. Friendly, knowledgable, practical and ready to keep you First Aid Ready. One training hall with kitchen facilities and within walking distance to Parap Shopping Village. The Casuarina complex provides for a comfortable learning environment, which has four training halls each with tea/coffee facilities, fridge and convenient access to the Casuarina Shopping Centre. Hall hire is possible (availability dependent), please contact training administration for further information Disabled parking can be arranged on request. This venue was purpose built to house our expanding volunteers in the Palmerston area in 2004. The venue is also utilised for first aid training courses when not occupied by our volunteers. The venue has one training hall with tea/coffee facilities and easy access to the Palmerston town centre and bus interchange. 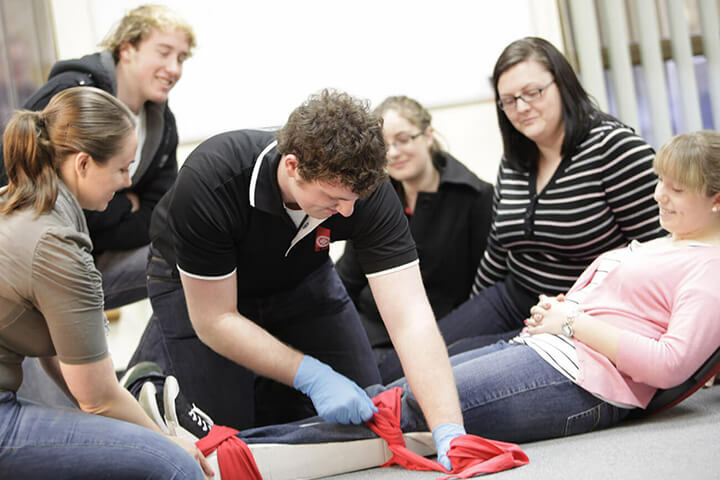 All First Aid training is delivered at the Katherine Ambulance Station, which is located at Lot 3159 Chardon St. Car Parking available and disabled parking can be arranged on request. All St John NT First Aid training is delivered at the Department of Business Regional Centre, 66 Staunton Street, Tennant Creek. Tennant Creek Ambulance Centre is located in Windley Street, Tennant Creek. The administration hours for Tennant Creek are Monday – Friday, 0830hrs – 1630hrs, excluding weekend and public holidays. Car Parking, including disabled parking, is available on site at the Regional Business Centre. The Alice Springs Ambulance centre is located on Telegraph Terrace next to the Fire Station. The administration hours for are Monday-Friday 0800hrs-1630hrs, excluding Public Holidays and access is only available to the public via Allchurch Street, located at the rear of the centre. Car Parking is available along Allchurch St or in the Car Park at the rear of the centre adjacent to reception and First Aid Training (just behind the Ambulance Centre). Disabled parking available on request. One training hall with kitchen facilities. Nhulunbuy Training Centre, Walk About Lodge, 12 Westal Street. The administration hours for are Monday to Friday 12:30 - 16:30, excluding Public Holidays. Car Parking available in surrounding areas.